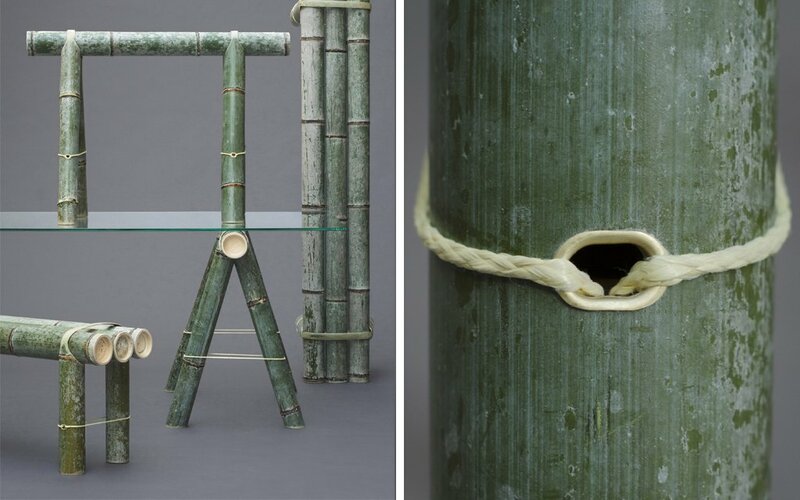 Bamboo Furniture in Your Living Room? But of Course. 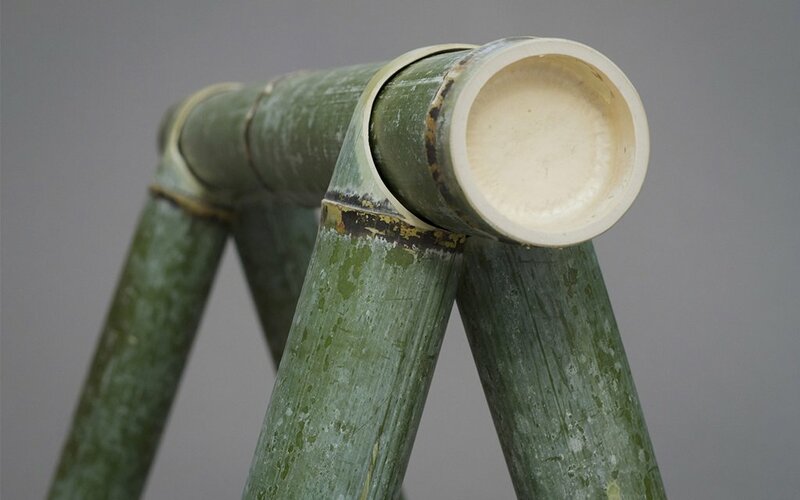 Bamboo, we’ve been told, is one of those materials of the future. This is because its applications are wildly versatile. You can eat it, make clothes with it, brush your teeth with it and even build a roof over your head. Some types can grow three feet in a day (! ), and you don’t need pesticides or fertilizers for healthy growth. It’s also got some pretty heady aesthetic properties: its colors continue to evolve long after its been harvested, meaning anything you make from it will develop a very handsome patina. 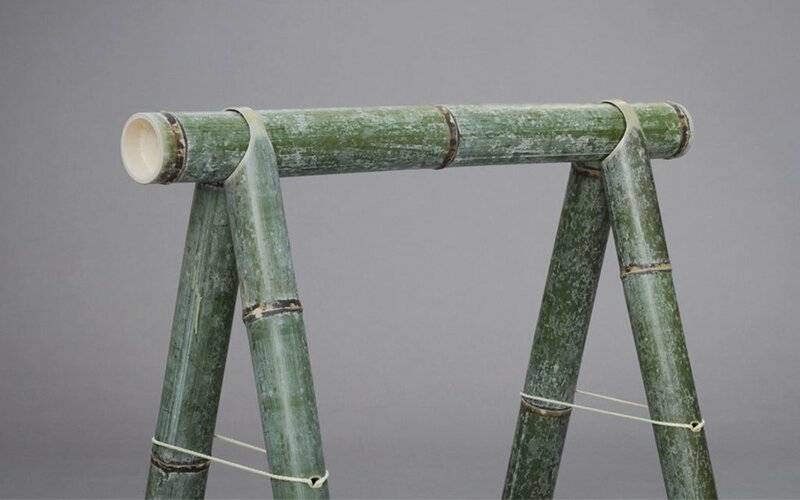 And if you’re looking for a visual aid to prove all this alleged majesty, look no further than the Soba collection, a series of flat-pack living-room furniture that doesn’t even require any tools to assemble (sending our sincerest side-eye in your direction, Ikea). So how’s it all stay together? 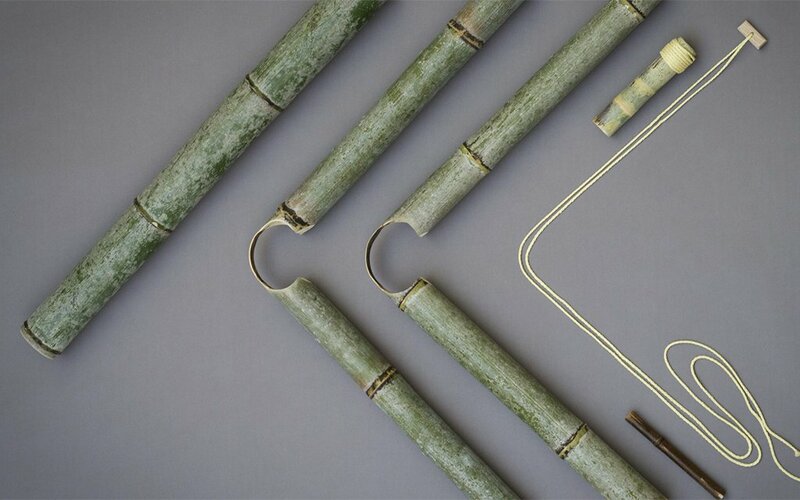 Joinery techniques and string. 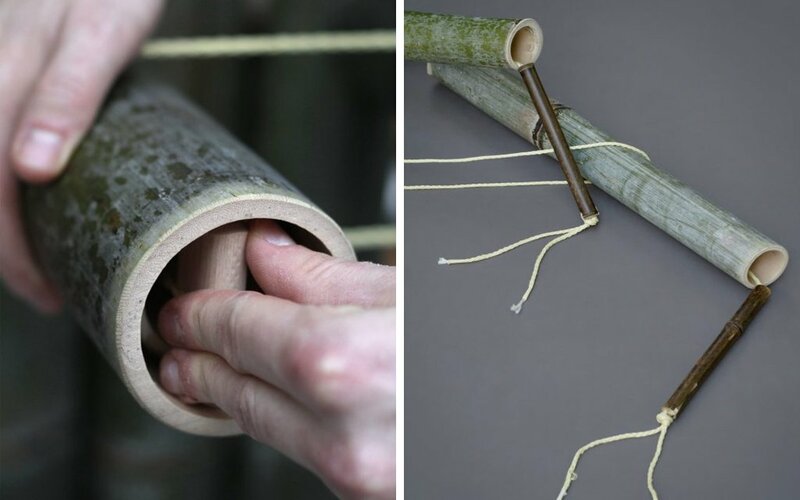 Well, it looks like string, but it’s actually strong kevlar rope that has a wooden piece fixed to the end so you can tighten things up for extra stability. 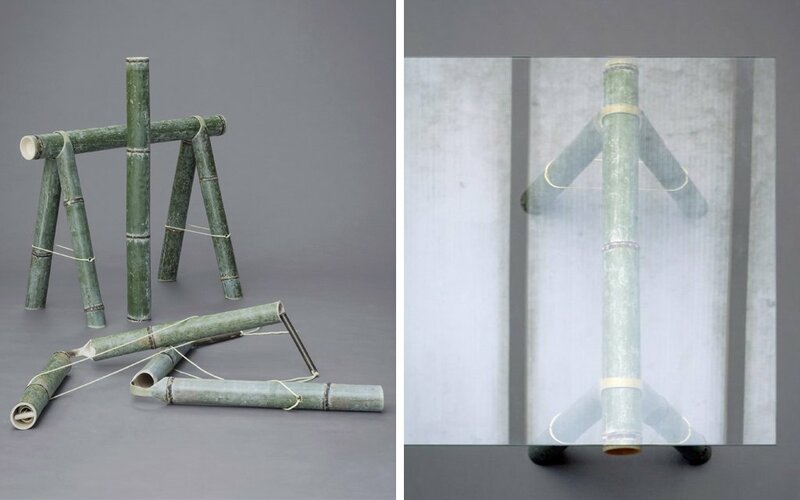 German designer Stefen Diez is responsible for the collection, which consists of a bench and trestles that support a glass tabletop. 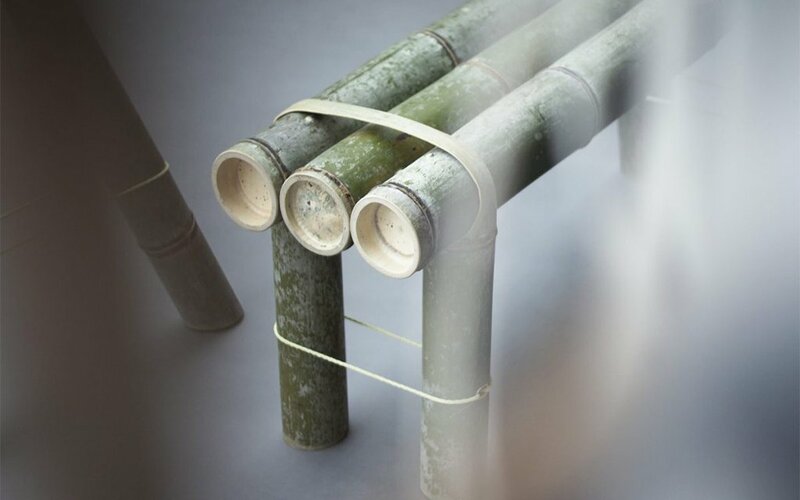 It’s also got a co-sign from non-profit Japan Creative, which practices traditional methods of Japanese craftsmanship on contemporary designs. 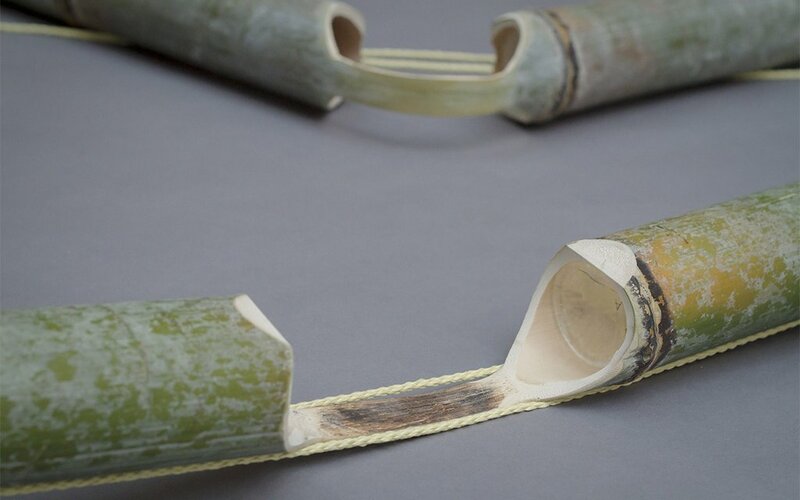 So, to review: material of the future, methodology of the past. Makes for one hell of a present.